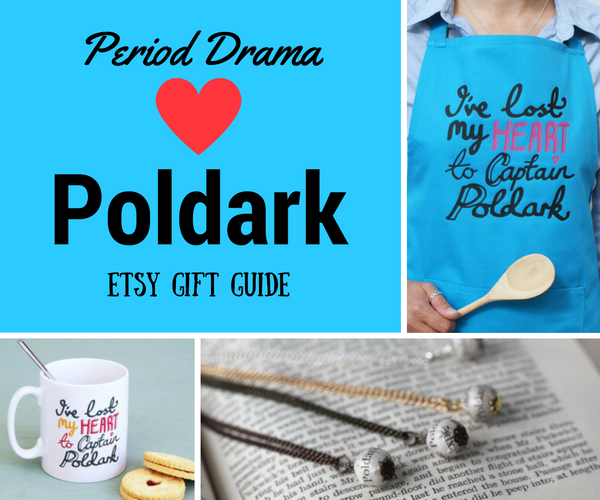 Hands up if you are a huge period drama fan? OK you can put your hand down now. 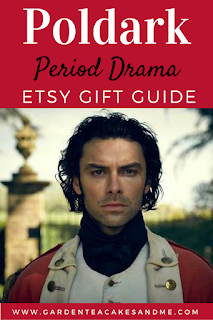 Like you I love not only reading a classic period drama but I find sitting down to watch a well produced period drama totally absorbing. There is nothing that warms my heart more than to while away a few indulgent hours watching adventures of times gone by. From riches to ruin, from love lost and found, television has bought to life some of literature's classic novels from our favourite authors - Jane Austen, Charles Dickens, Edith Wharton to name a few. The BBC production of Poldark, now into its second series is set during the 18th century. 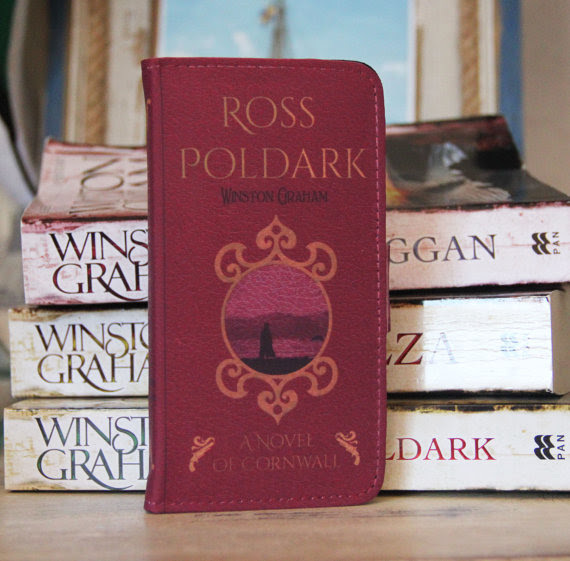 We follow the scandal, betrayal and the harsh realities of life in Cornwall through the lives of the Poldark family. 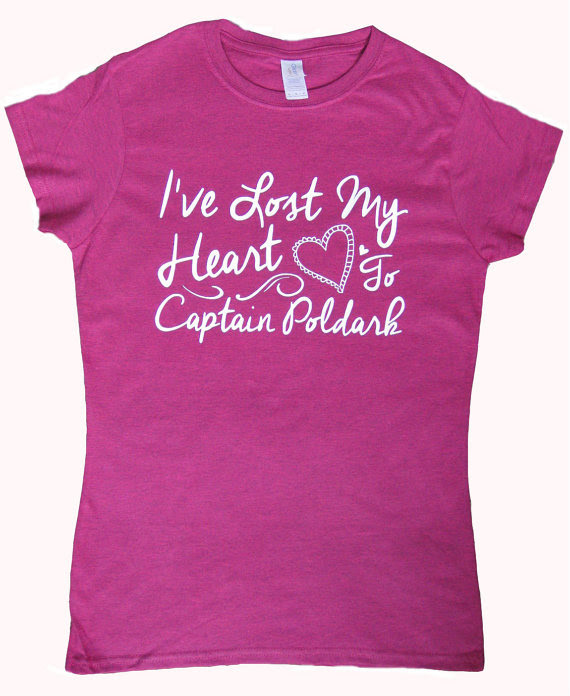 All filmed in the breathtaking and rugged scenery of beautiful Cornwall. 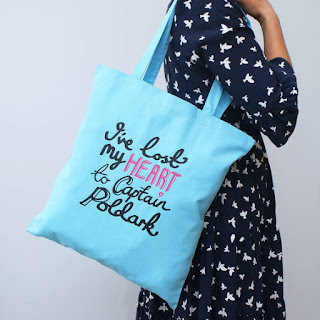 Slightly Poldark obsessed, since season one and having visited Charlestown during a recent holiday I have recently been exploring the wonderful world of Etsy. 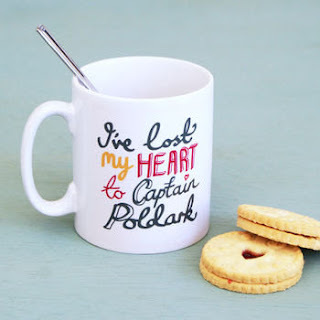 So many creative geniuses have captured the world of Poldark into their products, so for a little fun and some gift inspiration I bring you some of my favourite Poldark finds. You can never have too many tote bags in my opinion, particularly when they are this gorgeous!Poldark tote bag £12. 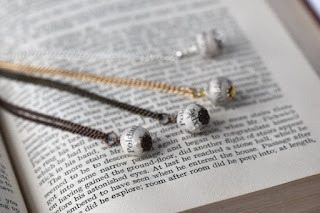 What book lover would not love a Poldark Necklace (£7.00) to twiddle as they read. Love the fuchsia pink of this T-shirt £9.99 along with the sweet design of the heart. Although I may not have not read any of the Poldark books my sister has read them all. No matter how hard I may drop a hint about how I think a story line will pan out she will not give the game away. 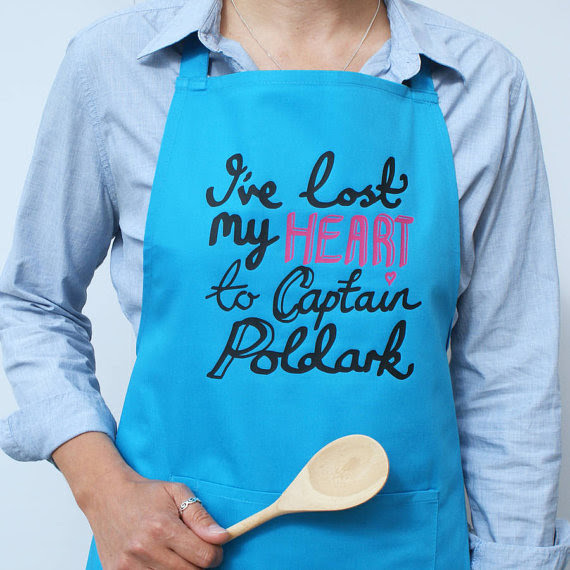 I hope that the BBC will be making a season three, four and five of Poldark and keep all us period drama fans happy. Prices correct at time of publishing, contains affiliate links. Such fun. I am a fan of period drama and of course Poldark I have the whole series taped ready to watch again.